Our moderate South Montenegro and Kotor Bay dual centre based self guided walking holiday offers a truly wonderful itinerary which includes some of the best walks in South Montenegro, considered one of the most breathtaking coastal areas in Europe. Designed for moderate and more active hikers who are interested in getting closer to the culture and dramatic nature which can only be viewed from the beautiful mountain trails, this partially centre-based tour is perfect for taking in the sights and sounds and the solitude of these two beautiful areas where the mountains meet the sea. 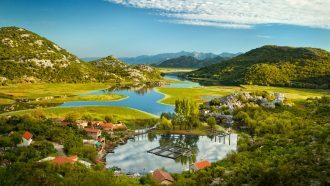 Our walks in nature are combined with must-see visits to the Old Capital of Cetinje, Kotor and Perast. Included is a climb to the Lovcen mountain summit, a visit to Njegos’ tomb as well as a boat trip to “Our Lady of the Rocks” isle church, so you can fully experience the spirit of the area and explore the sacred secrets of Montenegro. 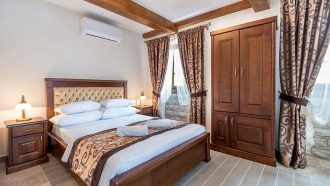 Accommodation is three overnights at a four-star hotel in Lovcen National Park and a family-run guesthouse with private rooms for the four overnights in Perast. 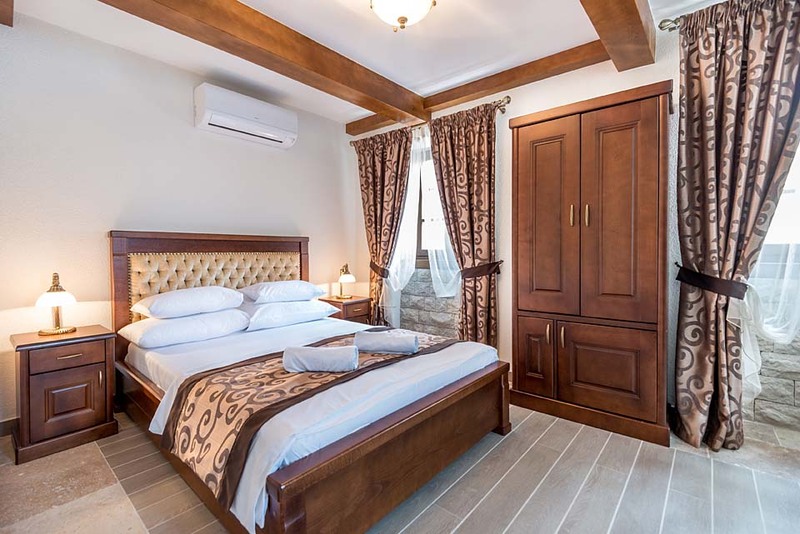 Optional: if you prefer to stay in a four-star seaside hotel in Perast (Conte or similar) instead of the guesthouse, you can choose this upgrade when completing the online booking form. Moderate grade too hard or too relaxed for you? This itinerary also has an easy and a strenuous version. Arrival in Ivanova Korita resort, positioned in the heart of Lovcen mountain. It is one of the five national parks in Montenegro. Accommodation is in a hand-picked 4-star hotel where you will spend next three overnights. In case of earlier arrival, we have prepared a light circular walk to one of the most wonderful viewpoints on the Adriatic coast! Arrival is possible at one of the three closest airports: Tivat, Podgorica or Dubrovnik (Croatia). All airport transfers can be made by taxi or combined by a local bus (to Cetinje or Kotor) and then by taxi (20 min from Cetinje or 1h from Kotor). Private transfer is available on request. Walk from your hotel down the Lovcen slopes towards Cetinje. The focus of the day is Cetinje, the lovely old town which was the Capital of Montenegro from the 15th century until 1918. 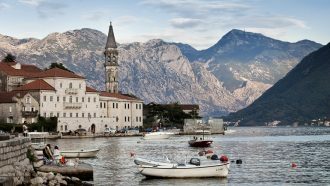 This city is known as the Old Capital or the ‘Museum Town of Montenegro.’ This is the best place to learn all about the turbulent Montenegrin history and familiarise oneself with its culture. In the late afternoon, a prearranged transfer car will transport you back to the hotel in Ivanova Korita (25 min). A circular walk from your hotel to the Jezerski Vrh summit (1,657m); ‘Njegos tomb’ is positioned at its top. You can visit the tomb then take an optional rest and have time for lunch in a lovely restaurant nearby. 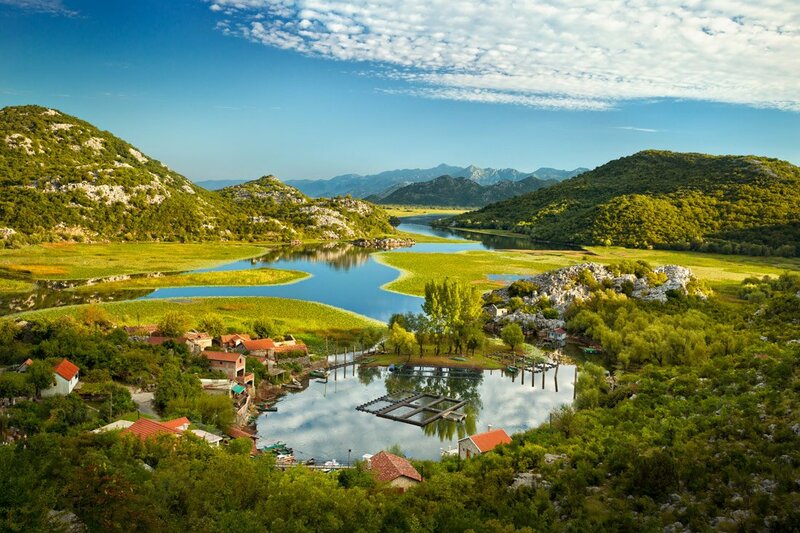 Views from the top are just stunning and give you a chance to admire all the summits of Montenegro, Skadar lake, (the largest lake in the Balkans) with the Albanian Alps in the background as well as Cetinje, the Adriatic coast and Boka Kotorska Bay. You arrive in Boka Kotorska Bay and the old town of Kotor by walking down from Lovcen. You are free to choose between two similar walks (the same route but different distances) for this part of the itinerary. 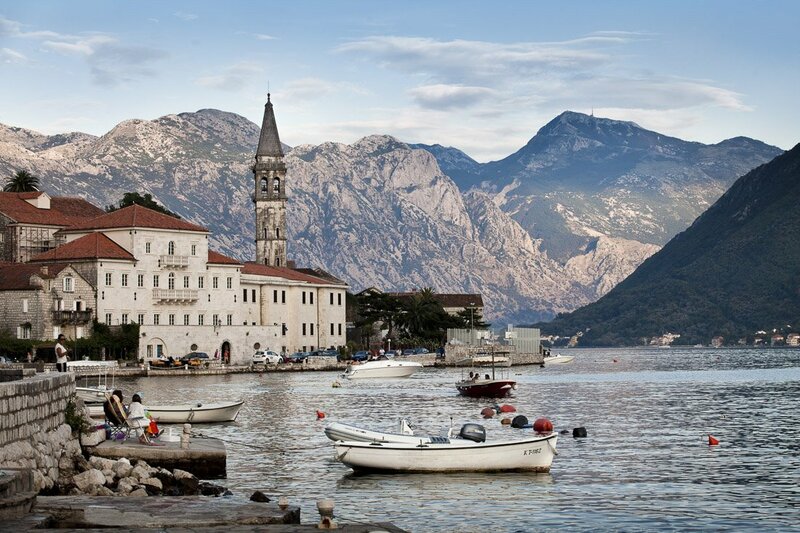 Either choice will offer breathtaking views of the Boka Kotorska Bay and the surrounding mountains. 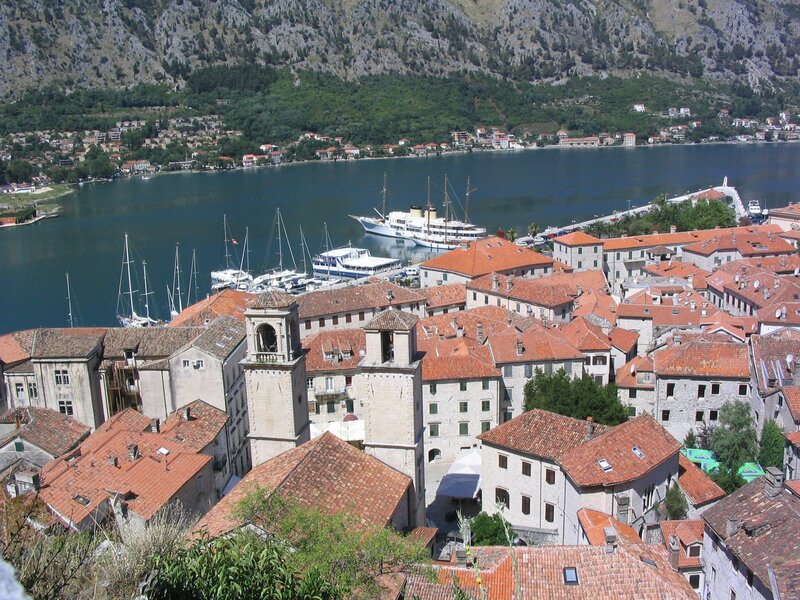 After some time exploring the old town of Kotor, you will then take a transfer to Perast by local bus (20 min). 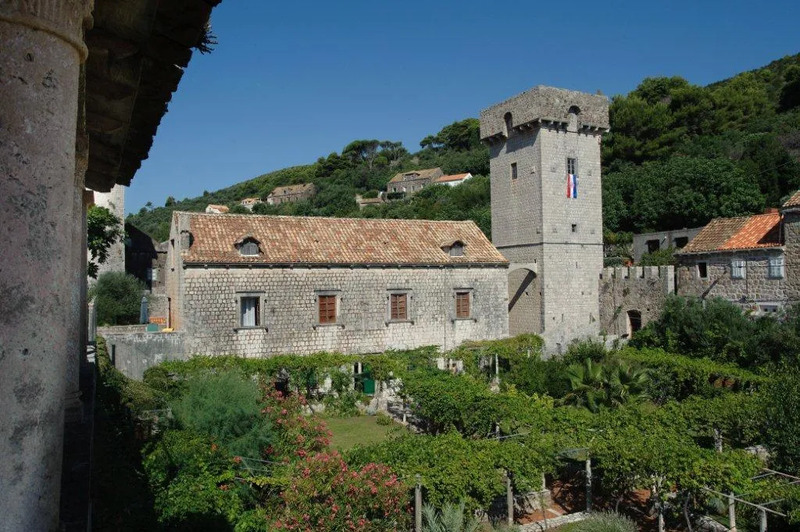 Accommodation (Days 4-7): a family-run guesthouse in Perast (Dragutinovic, Mrshe Palace, Pirastas or similar); optional upgrade to 4-star Conte Hotel in Perast. Boat trip to the artificial island across Perast. Visit the “Our Lady of Rocks” church and its museum. Continue by a private boat to the village of Donji Stoliv where you start the day’s hike, passing through a dense chestnut forest to the abandoned village of Gornji Stoliv with excellent views to Perast and the Bay. 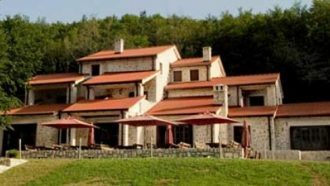 You will then head up to the ridges of Vrmac peninsula towards Gornja Lastva village – the most beautiful and well preserved ancient village of this bay. On the way, you can make a short side walk to enjoy the lovely views to the Bay from the church of St Vitus. Taxi transfer from Gornja Lastva to Kotor (20 min), free time in Kotor and transfer back to Perast by a local bus (20 min). A picturesque drive (40min) to the starting point in the remote area of Crkvice, at an altitude 1,100m above the Bay. Hiking by an old military mule path dating back to the 19th century. The path passes through an area of extraordinary land formations and offers excellent views of Boka Kotorska Bay with an optional climb to the Velji Vrh summit (1,281m). Ruined fortresses along the way pay testimony to the one-century long presence of the Austro-Hungarian empire. Hiking finishes in a local restaurant where your driver will pick you up for the trip back to Perast. Picturesque drive (30 min) to the starting point in Donje Ledenice. This hike starts almost from the same place where you ended yesterday’s trail. From this trail, you are treated to some excellent views of the Bay. It passes through the old and abandoned village of Ubalac, (only one person is living there today) following an old military Austro-Hungarian mule trail. The highlight of the hike is Sveti Andrija, an abandoned fortress which features the most spectacular view of the Bay. After relaxing at the fortress, you will descend directly to Perast, following the narrow footpath along the slopes of Vranovo Brdo summit. 3-star quality family-run guesthouse with private rooms (4 nights) and a 4-star hotel (3 nights). All accommodation has been carefully hand-picked by us, and their quality is regularly monitored. We have tried to choose accommodations that offer friendly service, clean and comfortable rooms and local flavour. You can also choose accommodation in a 4-star seaside hotel in Perast on Days 4-7 – please indicate when completing the online booking form. Breakfast is included. When no restaurant is available on route lunches and snacks should either be bought from local shops, or you can pre-order packed lunch from your hotel the night before. Dinner is available either from the restaurant in your hotel or from restaurants and taverns in the village near your hotel. Our recommended arrival airport for this holiday is Podgorica. Alternatively, flights are available from the UK via Dubrovnik (Croatia) or Tivat (Montenegro). There is public transport to/from all of them, or we can arrange a private transfer. – Take a taxi from Podgorica Airport to Podgorica Bus Station, 20 minutes. – Take the bus from Podgorica airport to Cetinje, 10€ – 45 minutes trip. – From the bus station take a taxi to Ivanova Korita Resort, 10€ – 15 minutes. – Take a bus to Kotor Bus Station, 20 minutes. – There are regular public bus transfers from Kotor bus station to Podgorica bus station on day 8 for about 10 € per person. – From Podgorica bus station take a taxi to Podgorica airport. Private transfers can be an economical alternative to public transport in Montenegro, sometimes equal to the cost of public transport in the UK. We can arrange for you private transfers from/to airport to hotel for arrival and departure – please indicate that you want a private transfer when completing your online booking form. Luggage transfer is included on all walking days and your bags will be transported by your current hotel (or by private transfer) to your next hotel. Baggage limit 25 kg per bag. Language: Montenegrin (a variety of Serbo-Croatian). In big cities, many people speak English, but in remote areas, this might not be the case. However, most of the hotel staff where you stay speak English and are ready to help you. Road signs/markers are normally in Latin alphabet – and you can always call our 24/7 helpline if there are any problems. Currency: Euro. We strongly recommend taking sufficient cash for your daily requirements. Banks and ATMs are available, and credit/debit card payments are widely accepted in towns and cities and big petrol station chains but might be limited at some of the villages we visit. 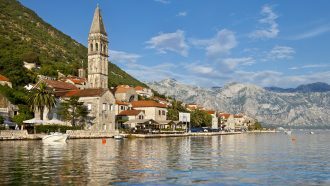 Up-to-date travel advice on Montenegro is available here. Appropriate for regular walkers. Requires a reasonable level of fitness. The trip covers an average of 15 km (6 hours) of hiking per day. Average daily elevation gain is 500 m (read more about difficulty grades). Most of your walks will be on unpaved timber roads and hiking trails. Although a few sections may include walking on asphalt. Most of the trails are well-marked and sign posted. This trip is available from May until November. In May there could be occasional patches of snow in the higher parts of the mountains. July and August are the busiest – and hottest – months, and it is preferable to book as early as possible. Resort towns may become overcrowded in these months. The flexibility of self-guided holidays and the fact that there are no fixed dates gives you the opportunity to start your holiday at any time of the season. Please indicate your desired starting date when booking. Typically, you can expect excellent weather in Montenegro from April to November. Montenegro has a Mediterranean climate, hot dry summers and autumns and relatively cold winters with heavy snowfall inland. There is a chance of sporadic rain in spring and autumn, though this is in the form of short showers. In July and August, it can become very hot, and you must take enough water for your walks. You can expect cool nights in the Durmitor Mountains and at higher altitudes it is possible to have light snowing in April, May, October, November. We recommend that you travel as light as possible – airlines might charge you an extra fee, and during ground transfers, the place might be limited. Ideally, you should bring one piece of luggage weighing not more than 25 kg (to be checked in) and a daily pack (15 – 20 l rucksack) for your everyday essentials (snacks, drinking water, camera, etc.). Below is a non-exclusive list of what you should bring to this trip. More detailed info will be included in your holiday information pack. If you need further advice, please contact us or a reputable outdoor retailer. Please use the CHECK AVAILABILITY button above to see the cost of the holiday and the different options for your preferred date. 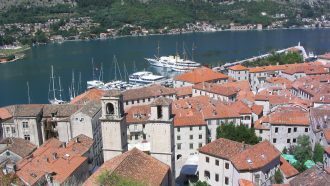 Spend one extra night after the holiday in a nice guesthouse or a luxury four-star seaside hotel on the Dalmatian Coast near Kotor. 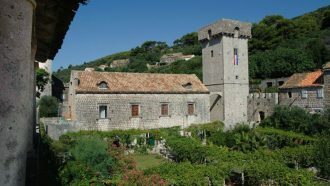 Treat yourself after the holiday with four days of relaxation in a lovely guesthouse on the Dalmatian coast near Kotor. 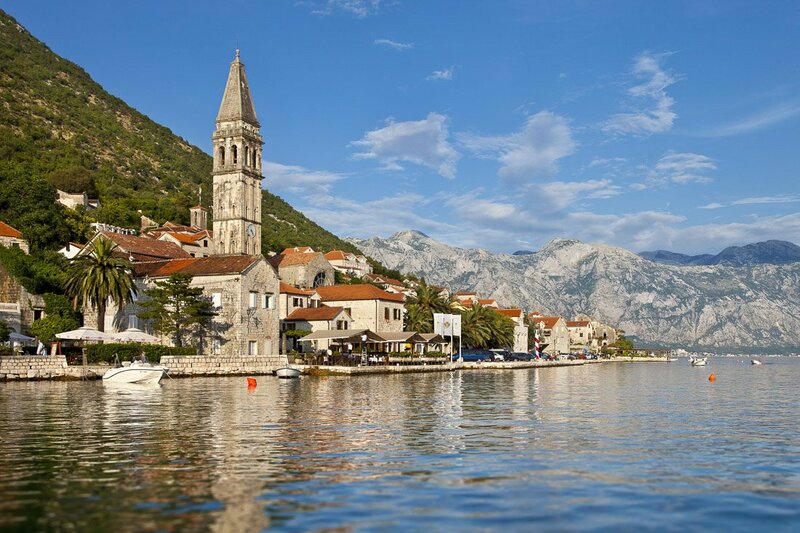 Treat yourself after the holiday with four days of relaxation in a beautiful four-star seaside hotel on the Dalmatian coast near Kotor (Conte Hotel in Perast). We did enjoy our first holiday in Montenegro with its wonderful landscape, fascinating history, beautiful architecture and good weather. We also met some lovely people; in particular the staff at the Jelena Palace in Perast were very helpful during our distress whilst we trying to find our guesthouse. For both of us this was our first experience of a self-guided walking holiday and I think we learned a lot from this. The routes were beautiful & only had 1 day of rain (day 3 or day 2 of walking). All transfers etc worked smoothly. Accommodation and food was great. [...] All round beautiful trip. Thank you and would recommend to others. The trails were consistently interesting, offered astonishing views, and were challenging but not beyond our reach. We very much enjoyed this holiday. We had a wonderful time in Montenegro and thank you and your colleagues in Montenegro for making it all happen. We especially loved the hikes to Njegos mausoleum (as you said the restaurant on the top is lovely), the hike down to Kotor (we did the 4hr version) and the hike to the Vranovo Brdo Fort. We did not do the day 6 walk and we also only went to G Stoliv (not on up to the ridge, on Day 5) after Svetti Djeordje, we then contoured round and then went down to the coast and had our best ever calamari at the Marius restaurant there, we then walked back along the coast and got the boatman to come back and pick us up from the drop off point. We loved the Map App and the routes were all very easy to follow especially with the additional hard copies of the routes and maps. We loved the Hotel Admiral at Perast. It is a stunning location and very friendly staff. We had a wonderful time in Montenegro. Thank you so much for organising. Vlatko met us at the airport, drove us to the hotel and went through a thorough briefing. Nana, our guide for the first 2 days was fantastic, so helpful and knowledgeable and fun be with. Enjoyed our stay in Lovcen National Park and the variety of the hikes. Great to stay in a traditional style hotel. Hiked from Lovcen down to Kotor, a beautiful day. Such a stunning area to hike in for 4 days. Hotel Conte was lovely and the team were so helpful and friendly. All the transfers were on time, good vehicles and very safe drivers. We had perfect sunny weather, rained on us twice but only for about an hour each time. The hike on the last day down to Perast was our least favourite. It was over 2 hours descent on a very rough, rocky overgrown trail. Otherwise, a fabulous self guided holiday. Great walking and spectacular scenery. The company was very helpful and effective with arranging extra nights and transfers, in spite of the slightly relaxed (but very friendly!) attitude of local drivers and hotel managers. Excellent holiday. Scenery amazing. Walking routes were well chosen and varied. Hotel in Perast was perfect, stunning room, and great having meals at waterside. Well organised holiday and informative tour book. If your budget allows, book the Conte hotel upgrade in Perast.